An optional purchase on our ultrafast FTTP broadband packages is a Technicolor TG589vac v2 router. When purchased through Gradwell the router will automatically configure to use your account when you first plug it in. This article covers both initial setup and manual configuration if necessary. 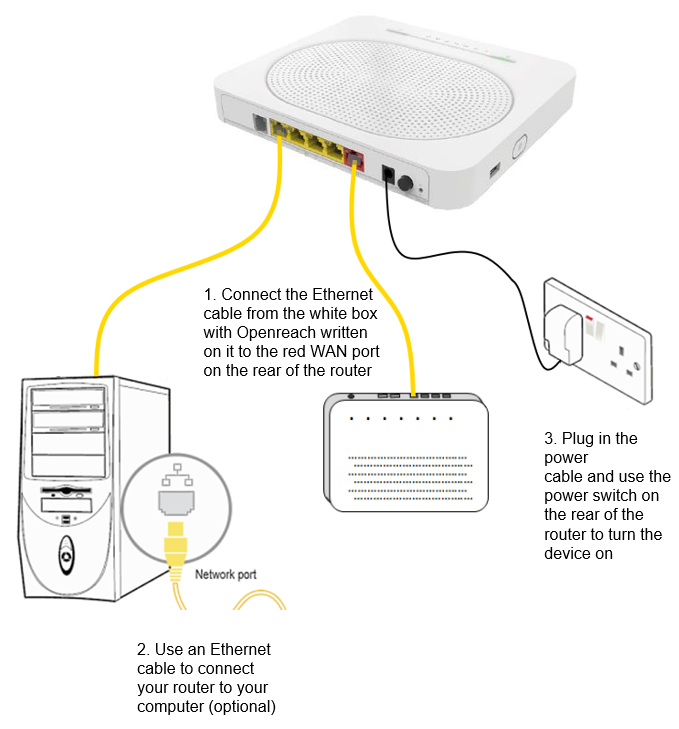 As part of your FTTP service Openreach will have installed a termination box in your property - the design can vary slightly but it will be a white box with "Openreach" written on it. Take the the yellow Ethernet cable and plug it into the active port on this termination box (there is usually more than one socket to do this in, if you're not sure which to use contact our support team). Then take the other end and connect it to the red WAN port on the rear of the Technicolor. 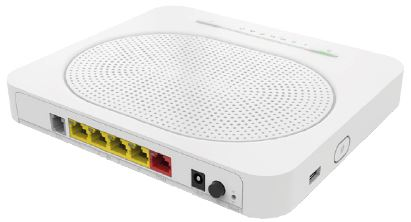 You can plug any other equipment into the other four available ports on the rear of the router (such as other computers, switches and VoIP phones). For details on what sort of IP addresses the ports will hand out to connected equipment please see this article.